Enjoy a stay at the ibis Eisenach hotel: Conveniently located on the peaceful outskirts of the city, the hotel is in the perfect location for sightseeing and trips with many famous historic buildings such as Bach House and the Lutherhaus nearby. Wartburg Castle, the famous UNESCO World Heritage Site, is only a 10 minute drive away. Hikers will appreciate the Rennsteig trail and Hainich National Park. Almost all of our 98 rooms are newly renovated and feature the wonderfully comfortable Sweet Bed by ibis. Over 70 of the 98 rooms are newly renovated and feature the wonderfully comfortable Sweet Bed by ibis. Here, you can enjoy a great night's sleep and wake up refreshed the next morning. With WIFI, flat-screen TV and a functional desk. 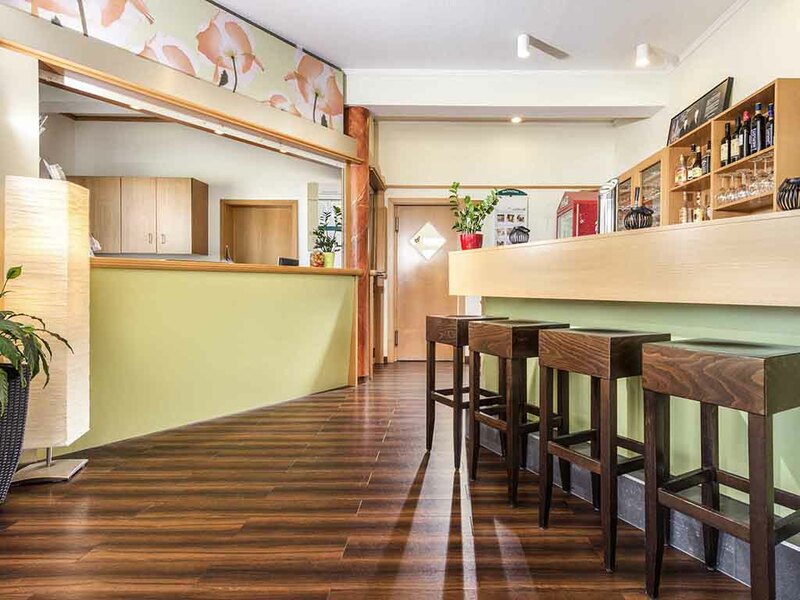 In the bar of the Ibis Eisenach you can order refreshments and a small selection of tasty snacks at any time of the day or night. There are 55 seats available to our guests both inside and on the adjoining terrace.